The Coffee Industry is Changing: How Will Your Business Adapt? Home/Restaurant Industry/Trends/The Coffee Industry is Changing: How Will Your Business Adapt? Coffee. For most people, coffee is the fuel that gets them going in the morning (I know it is for me). Whether it’s a cup brewed at home or an iced latte grabbed on the go, the average coffee drinker has 3 cups per day. In the US alone, there are 150 million daily drinkers. Of course, drinking coffee isn’t a new trend. It’s been around since the discovery of the “coffee berry” in Ethiopia way back when in the year 850. But, the ways in which we consume the hot (and cold) stuff has quickly evolved in recent times. [Global coffee production is hitting record highs this year, and analysts predict consumption growth of 5-7% through 2025. The United States is 12th on that list, which means we’ve got to step up our coffee production game if we want to keep enjoying those fresh cups of joe. So, what does all this coffee news mean for the restaurant industry? 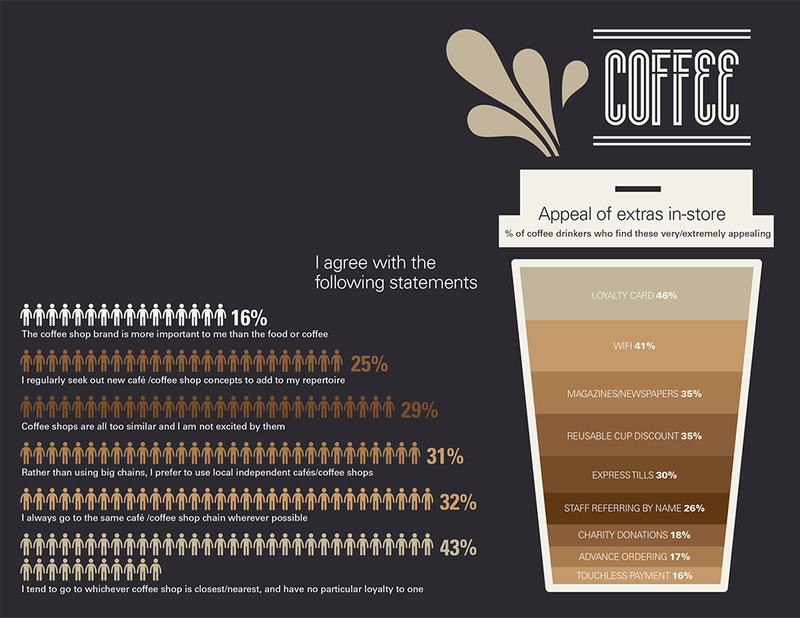 Well, the demand for coffee is present and will most likely trend upwards. But, brick and mortar locations are at a low when it comes to growth rate. Why? Because there are plenty more options today than just grabbing a hot cup of coffee at the local diner or cafe. If you’ve recently been in any big-box supermarket or convenience stores, chances are you’ve seen a dozen or more options for grab-and-go coffee. Bottled, boxed, or canned, coffee is available in multiple forms and flavors. This segment of coffee is called the ready-to-drink market and major brands like Starbucks and Dunkin Donuts have already caught on. Cold brew, a term that was foreign until the late 2000s, has become a massive phenomenon in recent times. 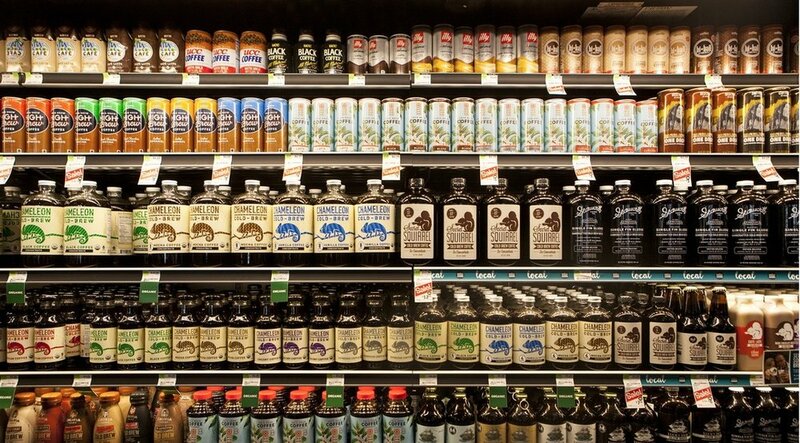 Cold brew is served both in brick-and-mortar locations and in the ready-to-drink form. And it’s a huge hit with millennials. [The ready-to-drink coffee market is forecast to show 67 percent sales growth from 2017-2022, according to Mintel. It also said the ready-to-drink coffee market is the fastest growing segment within the retail coffee market. “The ready-to-drink coffee market is growing at a very, very strong rate and one of the fastest growing non-alcoholic beverages in general,” Bryant told CNBC. Of course, brick and mortar restaurants, cafes, and coffee shops have to keep this ready-to-drink segment on their radar. But, the good news is millennials are willing to spend more for a fancy caffeinated beverage. As a millennial myself, I think that the ready-to-drink options are convenient and useful in a pinch, but I would still much prefer enjoying a fresh roast at a real cafe. It’s clear to see that people find convenience, location proximity, and good quality product the most important factors of their coffee decisions. 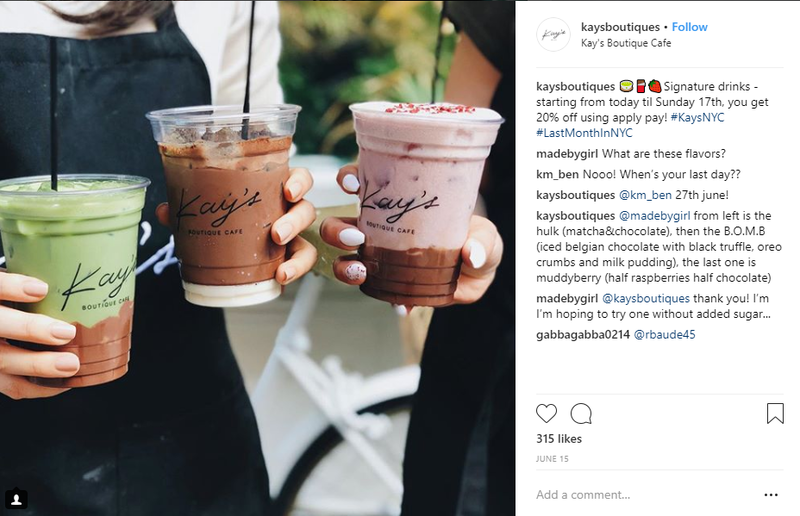 Since the brick-and-mortar growth rates are currently low, you should jump on the opportunity to make it known that you serve what the masses are looking for. Market your business creatively and get your full menu online. Millennials are a great demographic to target & they’re doing online research to discover new spots to drink & dine, so it’s essential to be in all the places they’re searching. Get hyper-local in some of your marketing efforts to make sure you’re reaching an audience near your location. Most people are looking for a morning or afternoon pick-me-up nearby, so you want to let it be known that you’re available and close! In the wake of a changing coffee landscape, below are a few ideas on how to stand out from the rest of the java crowd. Starbucks’ Pumpkin Spice Latte isn’t a drink, it’s a lifestyle. Dunkin Donuts chooses seasonal syrups like Cookie Dough and Peppermint Mocha and then includes the limited-time flavors in any drink you can think of. McDonald’s just released frozen cold brew – a midsummer day’s dream. The moral of the story: people love exclusivity, limited-time offers, and creative concoctions. So, come up with your own! The big guys aren’t the only players who can entice customers with one-of-a-kind items. Dream up, test, and serve drinks that are exclusive to your business and too delicious to deny. Then market those drinks as a limited-time summer (or fall, winter, or spring) offer and get people excited to try them out. You can create buzz around your business simply by being creative and original. But, remember, marketing is a key tactic in all of this. Drum up buzz on your social channels, send email blasts, and make sure your menu is updated everywhere! You may not be a business solely dedicated to coffee but still serve it as your restaurant. Even if you are exclusively a coffee shop, you may want to consider making the experience more “DIY.” Although fast-casual dining is uberly popular, people are still interested in making dining out a true experience. According to a survey by Eventbrite, 75% of people said that they believe unique dining experiences are worth paying more for. So, capitalize on this by offering a one-of-a-kind experience at your location. Try out an upscale coffee bar, complete with different mix-ins and toppings, so guests can create their own potent potion. You can charge a fee per addition or a flat fee based on cup size. You can even set up a photo station with great lighting and props to inspire guests to take photos to post on Instagram. You may even consider a “pop up” coffee stand outside of your location’s entrance or even in a completely different location. You can make this a limited time offering just for the warm months to offer cold brew and iced coffees. If you have an inviting outdoor area, you may just tempt guests to stay a while longer. It’s tough to compete against big-name brands and convenient coffee options. But, as we already mentioned, you’ve got something that makes you unique. Marketing goes a long way when it comes to both customer retention and bringing in new guests. Make sure to dedicate some effort to marketing. You can send email newsletters to customers you have email addresses for to tell them about new item releases and exclusive drink deals. If you’re feeling generous, offer coupons for new drinks or a rewards program for multiple visits. Post updates frequently to social media and use high-quality, attractive photos to catch followers’ eyes. Make sure to geotag your posts and encourage others to do so as well so new guests know where you’re located. Get your menu online, with the help of a menu management company, so people searching for “coffee near me” can find you (remember, location is important to customers!) With the help of menu management you can gain visibility on the sites that matter – like Google, TripAdvisor, Yelp, and many more. Getting the word out there about your brand and your products will help you attract more coffee lovers. Coffee has been around since before you or me, but the way in which we drink it has changed drastically over the years. A simple percolated pot of coffee has evolved into an artistically topped latte and cold brew in a can. 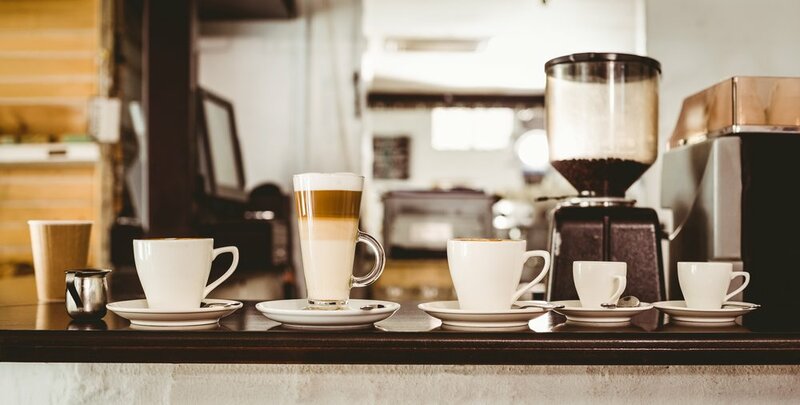 As a restaurant or cafe owner, you should be mindful of how the coffee landscape is changing and how it affects your business. You want to continue to bring in business despite the existence of competition, so think of new and exciting ways you can offer, and market, your cup of joe.